WASHINGTON - Rules aimed at preventing airline pilots from flying while dangerously fatigued were issued Wednesday by the Federal Aviation Administration, a move safety advocates have been urging for more than two decades. The rules update current pilot work schedule regulations, which largely date back to the 1960s, to reflect studies on how much time pilots need for rest and an understanding of how travel through time zones and the human body clock's response to light and darkness can affect performance. "It was necessary to make these changes to bring us up to the 21st century," CBS News transportation safety analyst Mark Rosenker, a former National Transportation Safety Board chairman who investigated a 2009 accident that sparked calls for the new rules, said on CBS' "The Early Show" Wednesday. "Fatigue has been an insidious cause of so many incidents and accidents that the NTSB has studied it's been on their most-wanted list for at least 20 years." Carriers have two years to adapt to the new rules. The FAA estimated the cost to industry at $297 million over 10 years, a fraction of the $2 billion a year that an airline trade association had estimated a draft proposal released by FAA over a year ago would cost. The new rules come nearly three years after the deadly crash of a regional airliner flown by two exhausted pilots. Family members of the 50 people killed in the 2009 accident near Buffalo, N.Y., have lobbied relentlessly for more stringent regulations. The rules would limit the maximum number of hours a pilot can be scheduled to be on duty  including wait time before flights and administrative duties  to between nine and 14 hours. The total depends upon the time of day pilots begin their first flight and the number of time zones crossed. The maximum amount of time pilots can be scheduled to fly is limited to eight or nine hours, and pilots would get a minimum of 10 hours to rest between duty periods, a two-hour increase over the old rules. 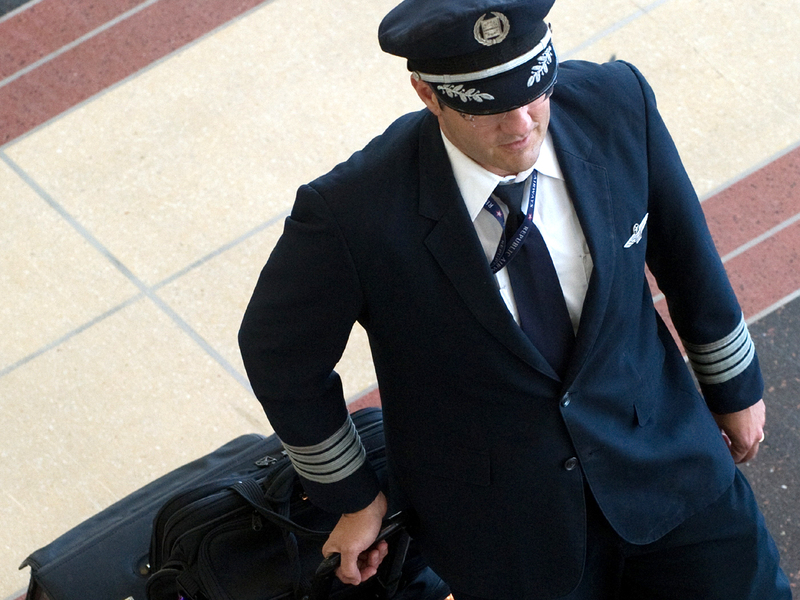 Pilots flying overnight would be allowed fewer hours than pilots flying during the day. But cargo carriers  who do much of their flying overnight when people naturally crave sleep  are exempted from the new rules. The FAA said forcing cargo carriers to reduce the number of hours their pilots can fly would be too costly compared to the safety benefits. Imposing the rules on cargo airlines like Federal Express or United Parcel Service would have added another $214 million to the cost, FAA officials said. The exemption for cargo carriers runs counter to the FAA's goal of "one level of safety" across the aviation industry. It's also certain to provoke complaints from pilot unions, who point out that cargo pilots suffer from fatigue the same as pilots for passenger-carrying airlines. And, while cargo planes aren't carrying passengers, the risk to the public on the ground from an air crash is just as great. The charter airlines that transport nearly 90 percent of U.S. troops around the world had also lobbied heavily for an exemption to the new rules, saying military missions could be jeopardized. But FAA officials rejected those pleas. The new rules give "pilots enough time to get the rest they really need to safely get passengers to their destinations," FAA Acting Administrator Michael Huerta said. The rules will prevent about one and a half accidents a year and an average of six deaths a year, FAA officials said. They will also improve pilots' health, officials said. Researchers say fatigue, much like alcohol, can impair a pilot's performance by slowing reflexes and eroding judgment. The NTSB has been campaigning for two decades for an overhaul of pilot work schedule rules. An effort by the FAA in the late 1990s to develop new rules stalled when pilot unions and airlines were unable to find common ground. That effort was revived after the February 2009 crash Continental Connection Flight 3407 near Buffalo. Neither pilot appeared to have slept in a bed the previous night. The flight's captain had logged onto a computer in the middle of the night from an airport crew lounge where sleeping was discouraged. The first officer had commuted overnight from Seattle to Newark, N.J., much of the time sitting in a cockpit jumpseat. They could be heard yawning on the ill-fated flight's cockpit voice recorder. However, by a 2-1 vote the NTSB decided not to cite fatigue as a contributing factor to the crash. The board agreed that the captain's incorrect responses to a stall warning caused the accident, and that other pilot errors contributed to the crash. But investigators said it wasn't possible to determine whether those errors were the result of fatigue. But Transportation Secretary Ray LaHood and former FAA Administrator Randy Babbitt vowed to put strong fatigue rules in place. "We made a promise to the traveling public that we would do everything possible to make sure pilots are rested when they get in the cockpit. This new rule raises the safety bar to prevent fatigue," LaHood said in a statement. The families of victims killed in the crash won congressional passage of a law requiring the FAA to issue new rules by Aug. 1 of this year, but the White House Office of Management and Budget delayed release of the rules. Safety advocates applauded the new rules. The changes replace "rules that were dangerously obsolete and completely ineffective," said Bill Voss, president of the Flight Safety Foundation in Alexandria, Va. "The rule applies fatigue science in a way that makes sense."